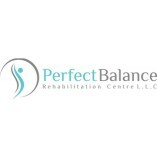 Perfect Balance Rehabilitation Centre was founded by Amy Gilbert. It was developed hoping to provide the Abu Dhabi community with access to state of the art rehabilitation services provided by well experienced and dedicated health professionals. Our target audience is young, old, high-level athletes, sedentary workers to pregnant ladies.